From "Historic Sites for Preservation," a series of articles for the Philadelphia Inquirer, on history and preservation in Pennsylvania, by Thomas Hine. This 1991 Inquirer photograph shows movie patrons buying tickets at the Sam Eric 4, formerly the venerable Boyd Theatre. The Boyd opened in 1928, the largest of the Philadelphia movie palaces of that era. 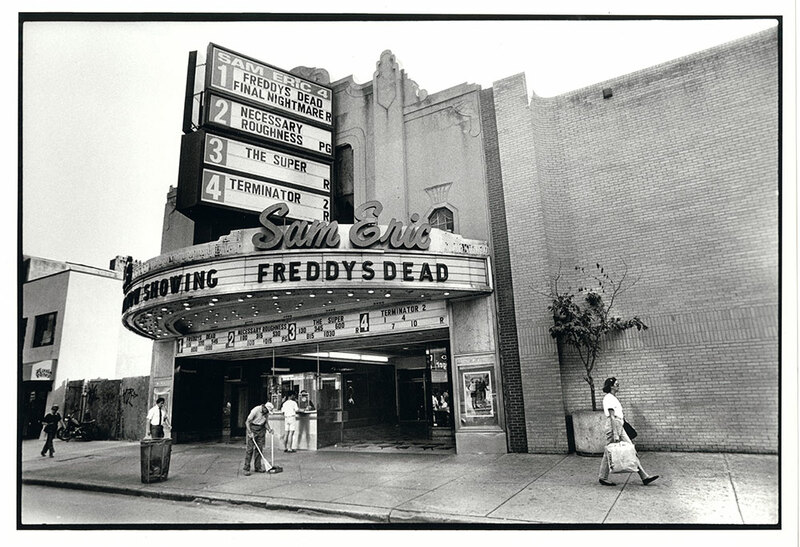 It was purchased by the SamEric Corporation in 1971 and converted into a 4-screen multiplex. The vertical marquee, added above the original, obscured the historic Art Deco façade.